East Boston will get a second dedicated ambulance for the remainder of the fiscal year. After complaints from the public and a nudge from city and state officials, East Boston is getting a second dedicated ambulance. Boston Mayor Martin J. Walsh announced Friday that overtime funds will pay for a second ambulance in the neighborhood for the remainder of the fiscal year. As part of the budget for fiscal year 2019, the mayor will earmark funds to permanently dedicate an ambulance in East Boston through a deal with the Massachusetts Port Authority, according to a statement from the mayor’s office. The ambulance started serving East Boston on March 12 and serves the neighborhood during the day and evening shifts — overnight service could become a reality if included in the mayor’s budget. Citywide, average response times for Priority 1 calls were around 6.4 minutes in 2017, up from 6.3 in 2016. Boston EMS Chief James Hooley said the second ambulance has an effect on the city that extends beyond East Boston. Other neighborhoods, such as Charlestown, Downtown, and the Seaport, will benefit by keeping their ambulances nearby and not needing to answer extra calls in East Boston. Citywide, Boston EMS answers about 300 to 400 calls a day. MassPort spokeswoman Jennifer Mehigan said the ambulance is a solution to what she called a “longstanding problem,” but declined to comment on the specifics of the deal with the city. Madaro co-filed legislation with state Senator Joseph A. Boncore earlier this year to require that MassPort house its own ambulance at Logan. While East Boston’s response times are particularly slow, response times citywide have risen alongside the number of emergency calls. 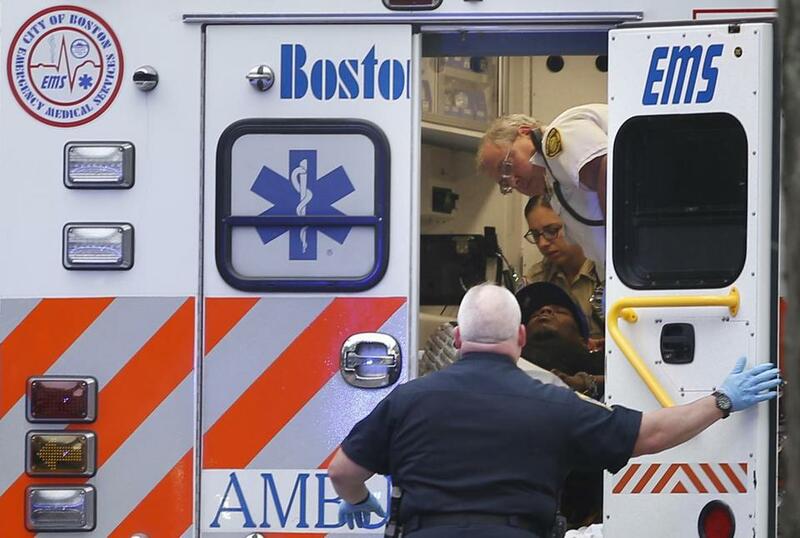 On average, Boston EMS responds to 126,000 calls a year — a 20 percent increase over the last decade. East Boston’s single ambulance has been in especially high demand because of Logan. City records show that in 2016, more than one-third of EMS calls were from the airport. Madaro said even though his concerns are being addressed while the bill is in the process, he hopes the ambulance issue will continue to be part of an ongoing dialogue. “While this does address the current population and some projected growth, there will be a time in the future when this conversation will have to be revisited,” he said. Steve Holt, a Jeffries Point resident, has been at the forefront of the push for a second ambulance. In 2016, Holt’s then-2-year-old daughter had a seizure in their home. Nearly 20 minutes after they called 911, an ambulance arrived to take her to Massachusetts General Hospital. Holt said that while he’s happy with the development, he knows more can be done to help East Boston residents, like a designated ambulance for the airport or a paramedic ambulance for the neighborhood that could respond to serious trauma calls. As of now, the neighborhood shares a paramedic-staffed ambulance with other Boston neighborhoods. City Councilor Lydia Edwards called the development a “big deal” and attributed the success to residents like Holt who have voiced concerns about the ambulance spanning multiple generations. Samantha J. Gross can be reached at samantha.gross@globe.com. Follow her on Twitter @samanthajgross.